Observation - Viola odorata - UK and Ireland. 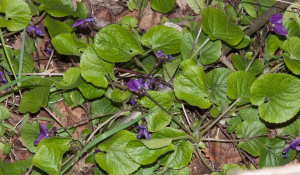 Description: Sweet violet, growing in awkward to reach location for photographs. Sweet violet, growing in awkward to reach location for photographs.